In the world of telecommunications, operators and regulators must learn to adapt to industry and market developments to remain competitive. It is essential they develop strategies to seize new opportunities and effectively overcome challenges. Successful strategic planning is a key to achieving this. In this 5-day training course, participants learn how to think strategically and to successfully implement a strategic planning process which allows the formulation of sound strategies leading to both individual and organizational improvement and growth. The course also includes analysis of real-life strategic planning cases and various practical workshops. 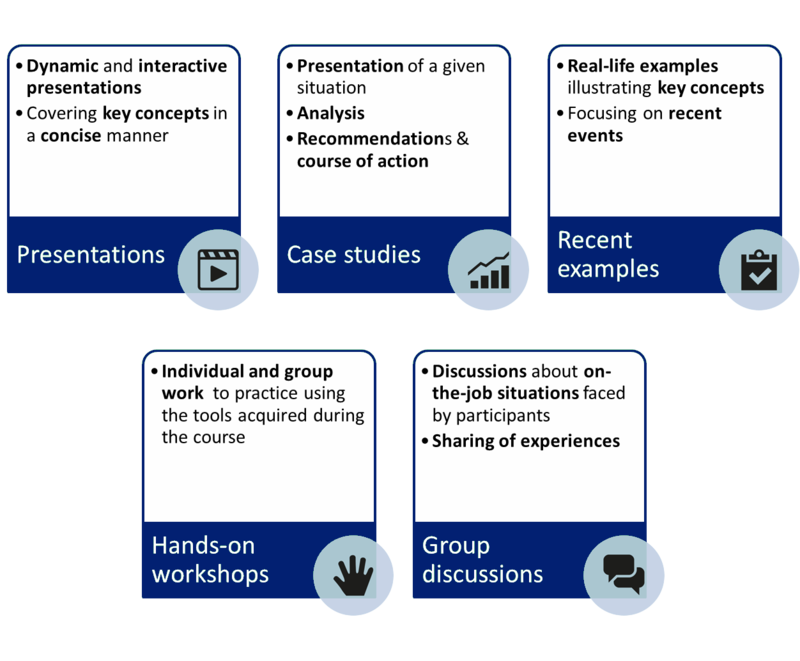 Prior to the course, participants follow Neotelis' e-Learning course ‘The Benefits of Strategic Thinking & Planning' via Neotelis' Learning Management System KNeoledge . Why have a strategic planning process? What is a useful strategic plan?